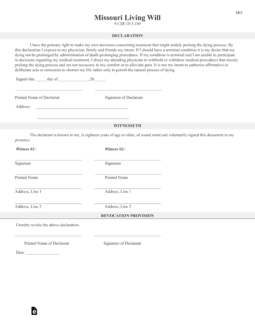 The Missouri living will declaration only allows a patient to make end of life decisions on their part by writing instructions to medical staff through this document. If the patient would like to make instructions and select an agent to act on their behalf they should fill-in the Advance Directive (includes durable power of attorney for healthcare). Medical Power of Attorney – Select a proxy to help a patient, in the chance they cannot do so for themselves, to help with tough health care decisions in the chance the principal is mentally not capable to make it themselves. 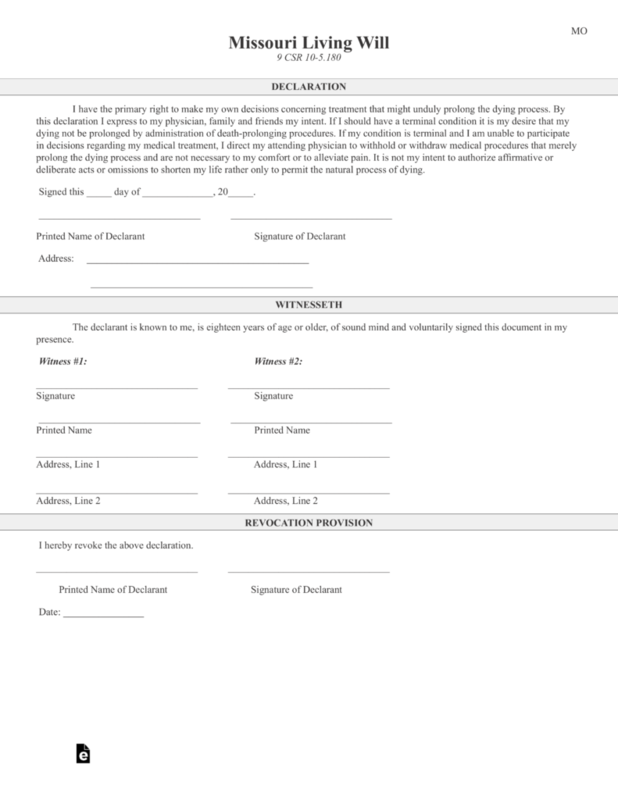 Step 6 – Notarization – Once the notary has witnessed all signatures, they will acknowledge by completing the remainder of the form as required by Missouri law and authenticating with the state seal.